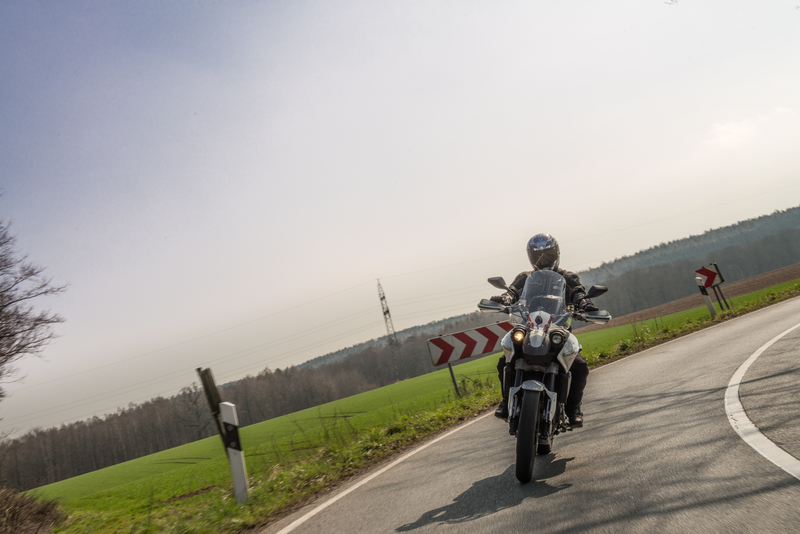 How could I shoot a motorbike from another motorbike ? Bike to bike photography has intrigued me for a while, but I could not get my head around how to shoot from a moving bike. One idea was to sit backwards on a bike while another person is driving. Sounds scary. Or one could sit in the back of an estate car with the trunk open, shooting backwards out of the open back… sounds complicated. After some time of deep thinking I found a solution which is practical and, well, somewhat safe (at least not illegal to the best of my knowledge). 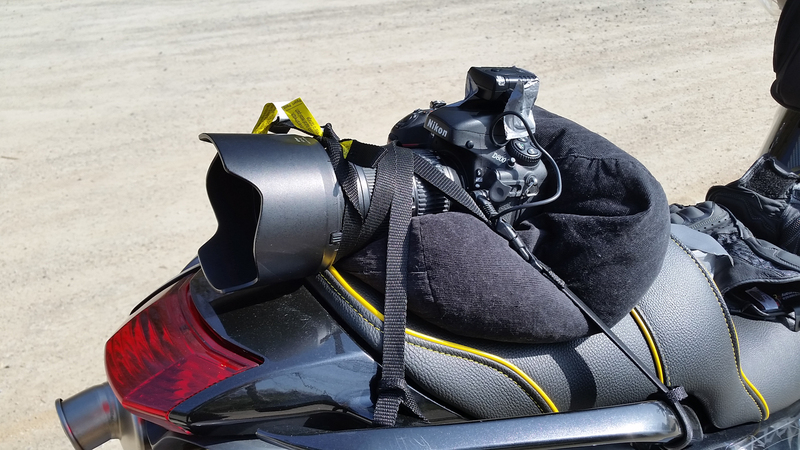 I mounted my DSLR on the back of my bike, supported by a beanbag. I secured both with elastic straps, normally used to secure luggage. A wireless remote trigger unit ensured, that I could trigger the camera. 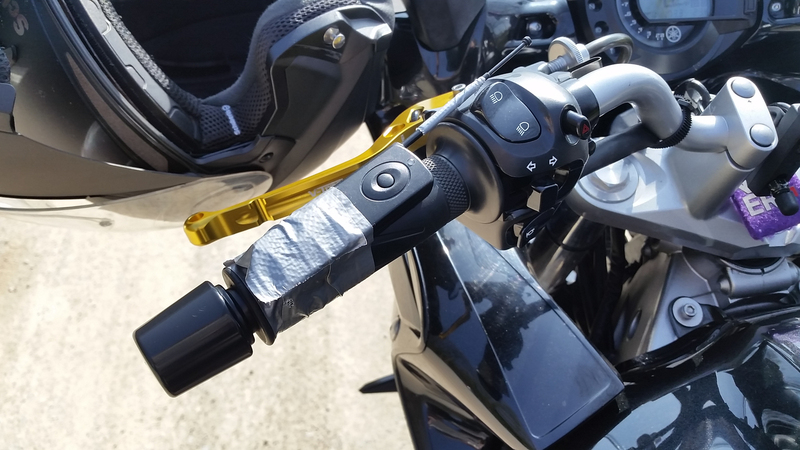 The sending unit was simply attached to the left handgrip by using duct tape. Here is how that looked. I set the camera to full autofocus (so that the camera decides where to focus), Auto-ISO, 1/400s and f16 (it was a sunny day). Burst mode (“Ch – Continuous High” on a Nikon). 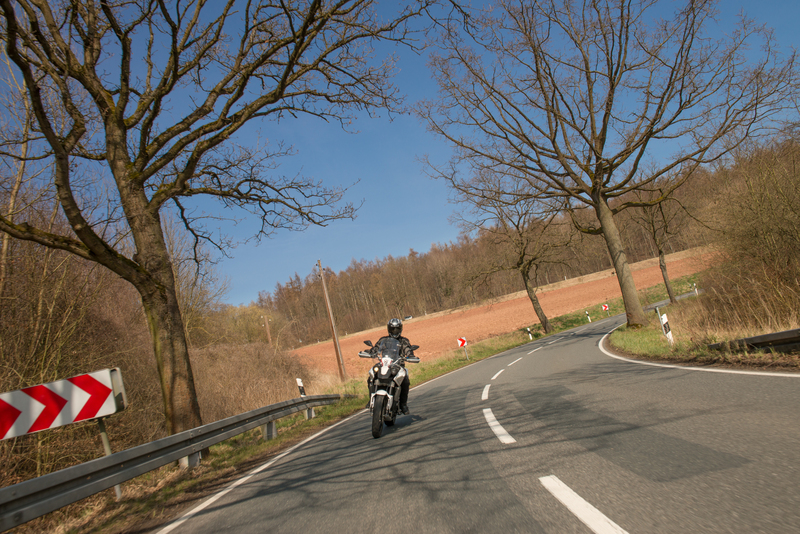 My friend Dominik was instructed to ride a few meters behind me with his Moto Morini Granpasso and off we went. I rode with my left glove off to ensure that I really hit the trigger button on the remote control. 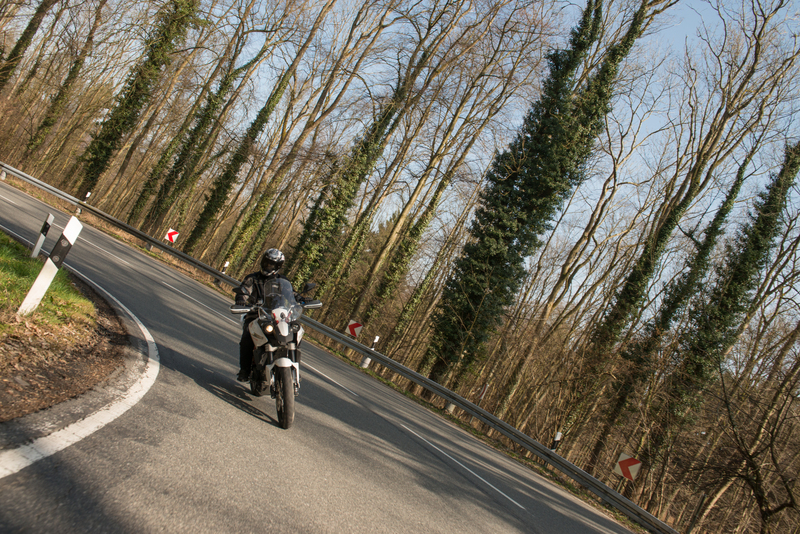 Dominik kept a constant distance and every time I went into a curve I pressed the shutter button, hoping for the best. Let’s be honest – it’s spray and pray. You have no control of any sort about the framing. 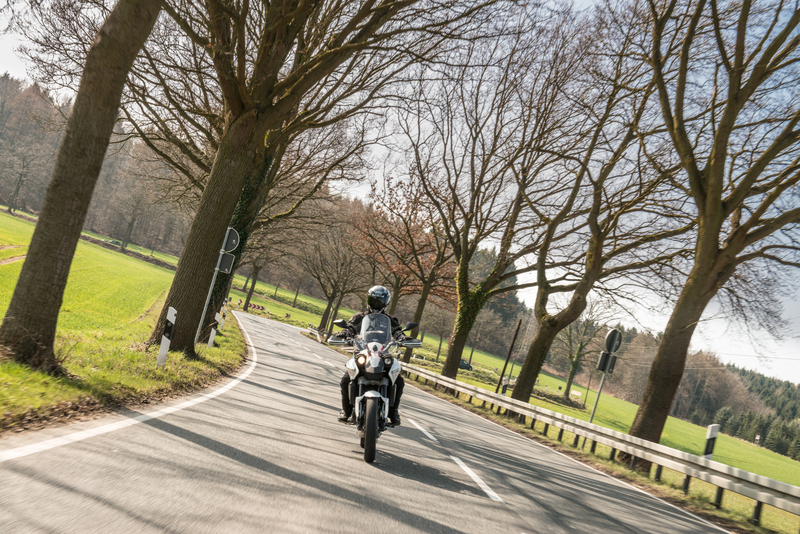 And you better not try to steer a motorcycle AND figure out how to get a good framing. Just hope for the best. We rode a few kilometers, then stopped to review the images. 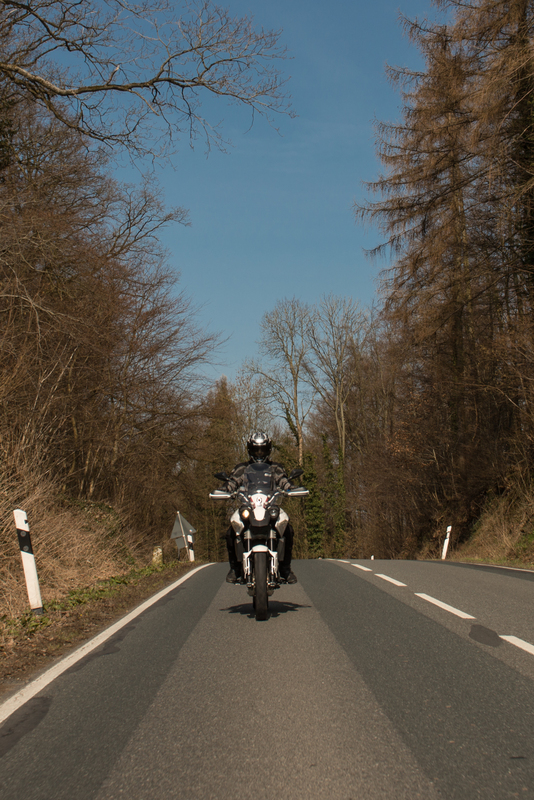 I decreased the shutter speed to 1/160s to get a little motion blur (at least that was the plan…) and we rode forth. 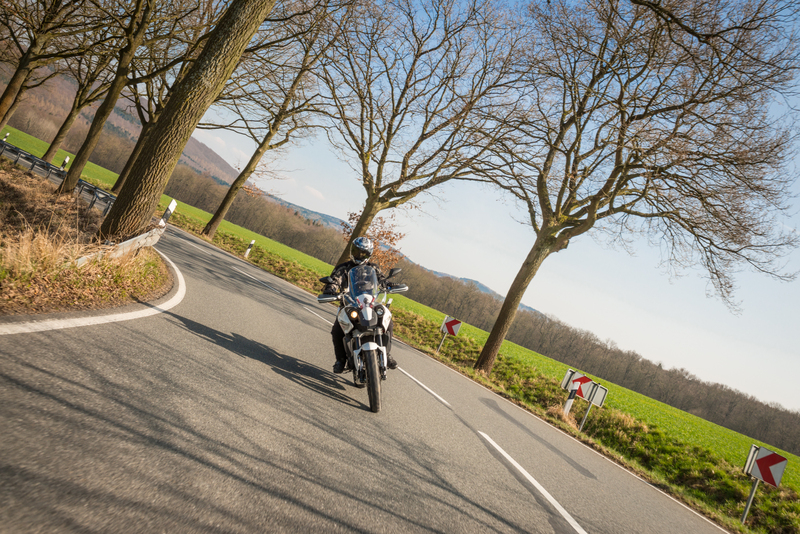 As you lean into a curve woth the bike, the camera is tilted as it is fixed on the back seat of the bike. That also tilts your image and gives it a more dynamic character. Fun fact: By evaluating the tilt angle of the images one can see how hard you are leaning into a curve – barely reached 25°. Not much, but please take into account that I had to operate both the bike and the camera (and that it is my second bike season, so I still need to gather a lot of riding experience). It was a first try and although the lighting conditions were not perfect (harsh sunlight) I am satisfied with the results. 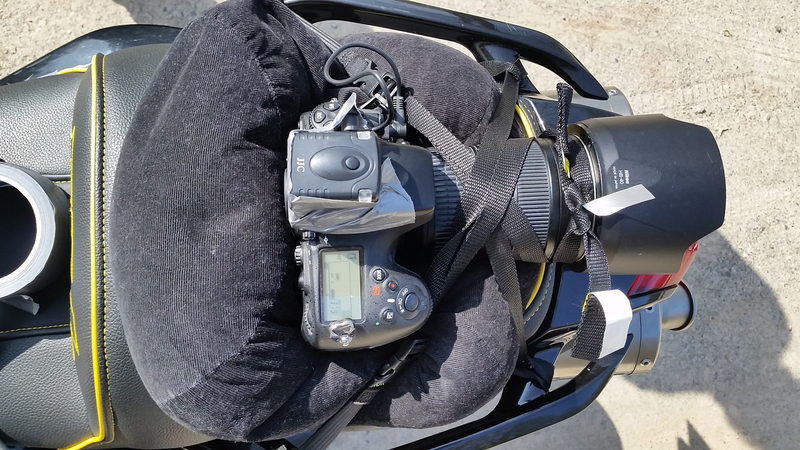 The method has to be perfected and with experience (which focal length works best, how far does the second bike has to ride from the “camera bike”…. 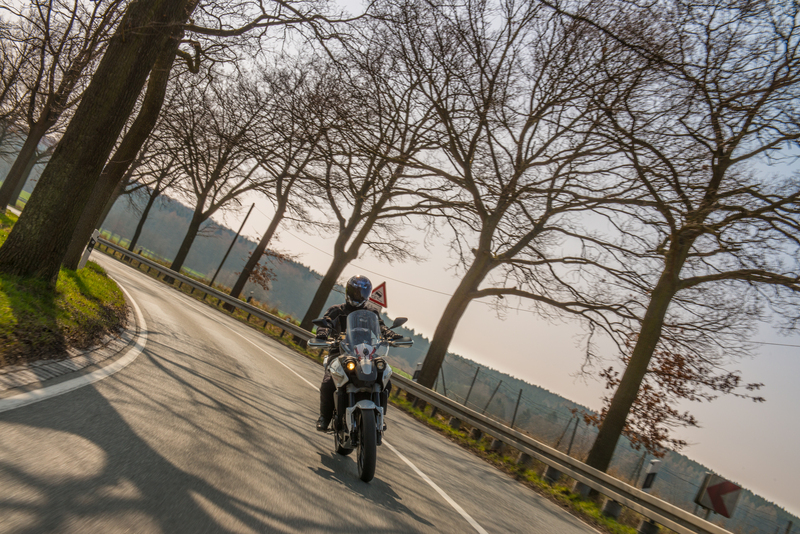 I know one thing for sure: Thas was not the last bike-to-bike photoshoot this year ! Bottom Line: The method is fairly safe, but you sacrifice the control over the framing. But it is a simple setup anyone with a camera and a remote trigger can recreate.